Very interesting, snappily-written article from the London Review of Books. 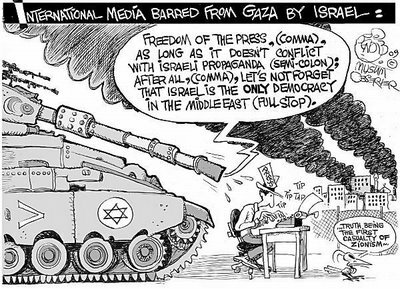 Israeli journalist Yonatan Mendel explores what he believes is the unwitting, anti-Palestinian bias which pervades the Israeli press. He also details his own experience of trying to land a reporting job at Ma’ariv, a leading Israeli newspaper. Perched high on a sandbank overlooking the slums of Gaza, a man who calls himself Abu Nafaq points to a block of canary-yellow flats just beyond the Egyptian border fence. “That is where the Israelis bombed a few days ago,” he says, referring to the Israeli bombing raid in response to last week’s ambush by terrorists in southern Israel. According to the Israelis, the gunmen who murdered eight people near the Red Sea resort town of Eilat came from Gaza – possibly sneaking out through the warren of smugglers’ tunnels leading into the nearby Egyptian shantytown of Rafah. Last week’s attack came only a few days after Egypt’s ruling military council – which took power after the president, Hosni Mubarak, was toppled in February – dispatched hundreds of tanks to the North Sinai region following outbreaks of violence in its provincial capital, Al-Arish, about an hour’s drive west from Rafah. Egypt’s generals said the operation was intended to drive out “al-Qa’ida-inspired militants” in the region. After the Eilat attack there was an added piquancy to the deployment. Israel has been wary of its neighbour since the fall of its ally Mubarak, and suggested the military council had lost control of the Sinai. Tensions were further heightened when five Egyptian soldiers were killed during the Israeli response to the attack, sparking angry protests yesterday outside the Israeli embassy in Cairo. But a recent visit to North Sinai by The Independent suggested the picture is far murkier than the official narrative provided by both Egypt’s generals and leaders in Tel Aviv. No doubt, as the Israelis have claimed, there has been some movement of Palestinian militants across the border. But some say the al-Qa’ida threat is exaggerated. One military official based in North Sinai told The Independent it was not true that the Egyptian army was hunting for Islamist extremists inspired by Osama bin Laden’s terrorist network. “There is hardline Muslim sympathy here, but no al-Qa’ida,” he said. Yet something is up. On 29 July, the same day thousands of conservative Muslims rallied in central Cairo and called for a greater Islamic role in post-Mubarak Egypt, gunmen laid siege to Al-Arish’s police station in a battle which lasted for nine hours. Some of the attackers launched rocket-propelled grenades at the 12ft-walled compound, yet when the fighting had finished, all the assailants escaped unharmed. The idea that locals nursing anti-government grievances were responsible for the operation has some credence. For years the vast expanses of the Sinai desert have been beyond the control of central authority in Egypt. Lawless Bedouin tribes hold sway in the central regions, while in the urban north there was never much respect for Mubarak or his policemen. 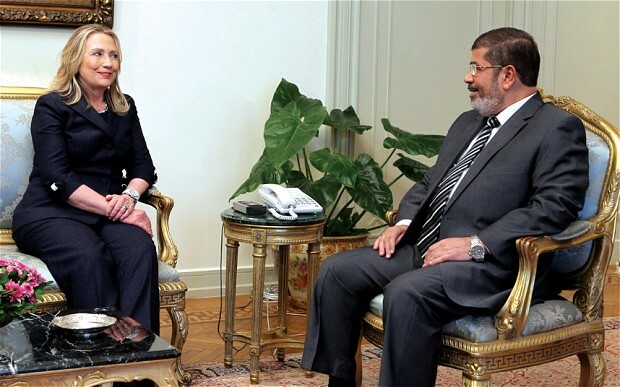 Yet, Hossam added, some of the attackers were fundamentalist Salafi Muslims, the hardline Islamists who eschewed politics under Mubarak but have become increasingly vocal since his toppling. Others on the streets of Al-Arish pointed the finger of blame at Takfir wal-Hijra, a shadowy, amorphous offshoot of the Egyptian Muslim Brotherhood, blamed for terrorist attacks around the world since the mid-1990s. Perhaps unsurprisingly, a Salafi sheikh in Al-Arish denied his followers were responsible for any violence. 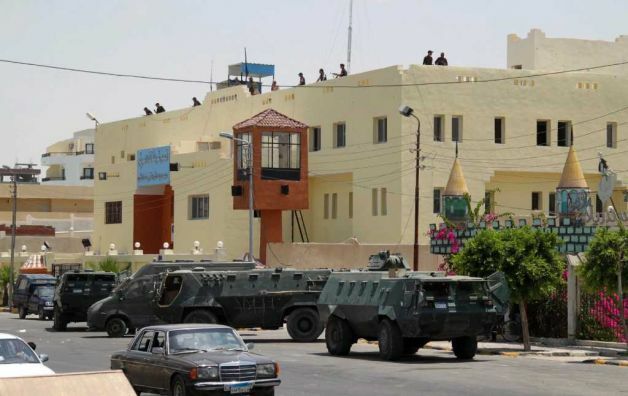 Mostafa Azzem said it was “the thugs and criminals in the Sinai who attacked the police station, not Salafis”. Al-Arish itself has come under increasing Islamic influence since Mubarak’s fall. It remains a tourist city, but the niqab-wearing women who pack the streets at night during Ramadan lend it a distinctly provincial feel. And while government talk of “al-Qa’ida in the Sinai” seems far fetched, the military council has obviously been rattled by developments here. Perhaps it genuinely fears the influence of hardline Islamism. Perhaps, as some have suggested, it simply wants to regain control of North Sinai after six months where police authority evaporated and the Bedouin stepped in to fill the vacuum. Either way, with Israelis rattling their sabres across the border over last week’s attack and Egyptians voicing their outrage at Tel Aviv’s response, the Sinai Desert – so often the theatre of the Middle East’s most pivotal conflicts – is on the frontline once again.